I know you could barely call this a ‘collection’ with the grand number of three, haha. 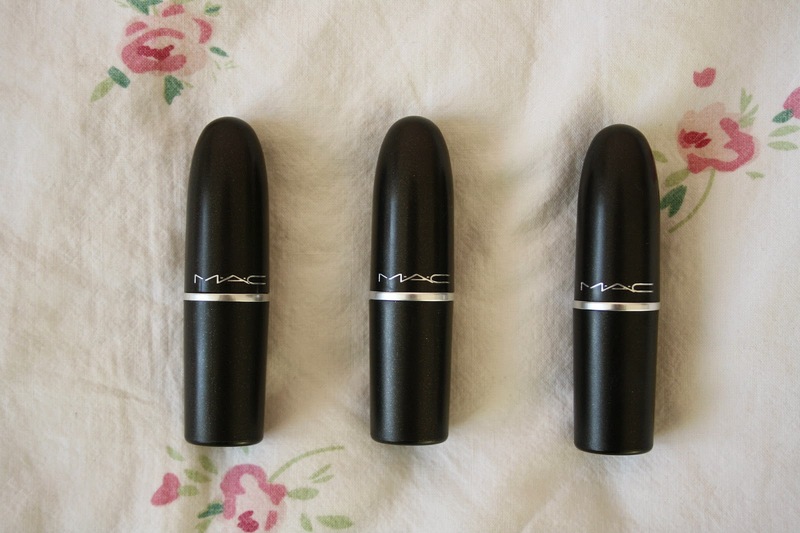 Nethertheless I wanted to share the Mac lipsticks that I do own, as I love them a lot! I think two of shades I own are quite popular ones, which I have seen blogged about many times. From left to right, the first one is the shade Sunny Seoul. This is a very light pinky shade, with blue undertones. This is a cremesheen lipstick, so its quite sheer on the lips and very creamy. Its a very natural colour and nice to wear with minimal make up. It doesn’t stay on very long however, since its a cremesheen, I think it slides off the lips quite easily, but still such a pretty shade. In the middle, is the shade Russian Red. Probably a cult classic, so many people love this lipstick. It is definitely my favourite red that I own, and the most pigmented. Its a darkish red colour, that really is red. Its a matte formula so it stays put on your lips all day through anything, a cup of tea, your lunch etc. Its perfect for day wear, and also in the evening. Such a gorgeous colour. Lastly on the end, is Plumful. Out of all three I have to say this is my absolute favourite. Its a purple/plum colour and I’m sure this would suit anybody. Its a lustre formula, which is probably in between a cremesheen and matte formula. Anyway, this lipstick goes with any make up look and is just your lips but 10x better. Such an amazing shade and would recommend this to everybody! 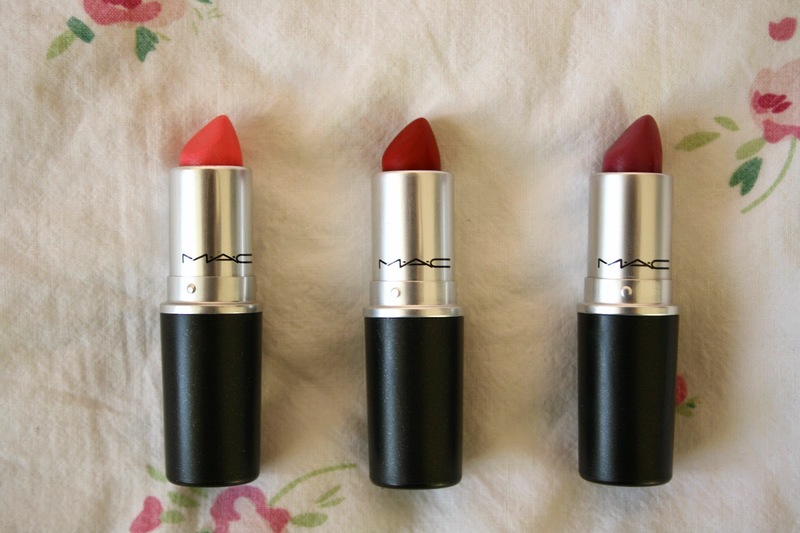 Whats your favourite Mac lipstick shade?